guitar interpreting lyrics. I still talk to John when praying to Jesus. Nicelle Davis is a California poet who walks the desert with her son, J.J., in search of owl pellets and rattlesnake skins. The author of two books of poetry, her most recent book, Becoming Judas, is available from Red Hen Press. Her first book, Circe, is available from Lowbrow Press. In the Circus of You is forthcoming from Rose Metal Press in Spring 2015 and The Walled Wife is forthcoming from Red Hen Press in 2016. Her poems have appeared or are forthcoming in The Beloit Poetry Journal, The New York Quarterly, PANK, SLAB Magazine, and others. She is editor-at-large of The Los Angeles Review. She has taught poetry at Youth for Positive Change, an organization that promotes success for youth in secondary schools, and with Volunteers of America in their Homeless Youth Center. She currently teaches at Antelope Valley College. I met Nicelle Davis twice, most recently in Ireland where she and I both attended the Ireland for Writers workshop. The workshop was beyond delightful, not simply because of the magic that is Ireland, but because of the amazing people in the workshop. Early on, we all decided to connect on Facebook. As it turns out, Nicelle and I were already Facebook friends. And after a bit of sleuthing, we deduced that our first meeting must have been at an AWP Conference. The poetry world is a small one indeed. The workshop was held at Inish Beg, a ninety-acre island estate with gardens, trails, and woodlands. At one end of the island happens to be a white bird cage large enough to hold a woman. 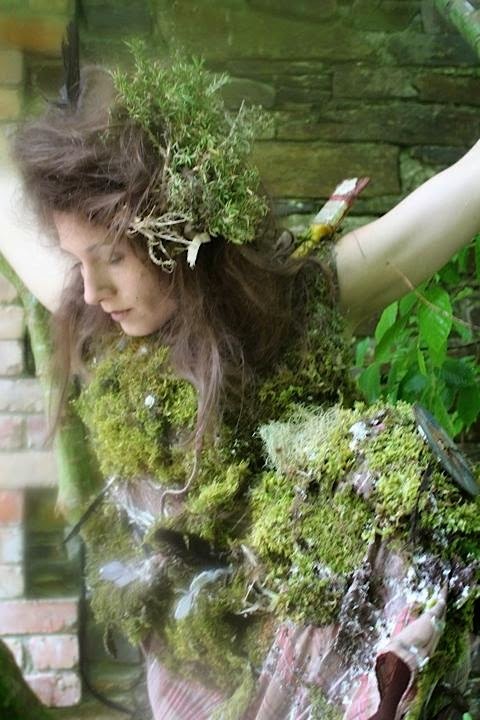 Nicelle and Annette, a writer/artist/singer from Minnesota, came up with an idea for performance art: to create a dress out of the stuff of Ireland—feathers, moss, curios. Nicelle and Annette, and any of us who wanted, would then take turns wearing the dress while sitting in the bird cage reciting poetry. The idea for the performance was my first glimpse into Nicelle's wildly creative spirit. As the week progressed, her encouragement that we be brave in the making of our art—whatever it might be—was inspirational and continues to impact me personally. Unfortunately, the performance was not to be. Nicelle and Annette worked tirelessly on the dress. When the day came for the performance, something interfered; I don't remember exactly, perhaps that was the day it rained. But we did get some fascinating photographs. The one here is of Nicelle wearing the Ireland dress, looking like a goddess, perhaps Circe or one the Muses, rising from the moss. After I returned from Ireland, I read Nicelle's most recent book Becoming Judas and found it totally engaging—thought-provoking and smart, as well as evocative. I wanted to share her work with others and asked if she'd consent to an interview, to which she kindly said yes, despite her busy, busy schedule. You're in for a treat, folks. Hers is a fascinating interview, sure to intrigue. But before getting to the interview, as a way of introduction to Nicelle's work for those unfamiliar, I'd like to leave you with a quick overview of Becoming Judas from the publisher, as well as one of her poems from the book. "The second collection by Nicelle Davis, Becoming Judas, is an "elemental bible-diary-manifesto," that weaves together Mormonism, Mamaism, Manson, Lennon, Kabbalah, and the lost Gospel of Judas into an ecstatic, searing meditation on raw religion. Nicelle Davis is a poet with an eye towards the spiritual. Loosely based on Davis's upbringing in the back-room of a record store in Mormonville, Utah, this unexpected fusion becomes a "spontaneous combustion" of matter turning into energy. In these poems we encounter Jesus, Judas, YouTube, Joseph Smith, Hollywood, the Knights of Templar, Missouri, Utah, a prostitute, turnips, libraries, and God. Spirituality and faith eventually become, like Mallarme's "Dice Thrown," a game of chance: "I know only chance. My feet will / won't hit ground." Instead of choosing a faith based in the material world, which becomes a roll of the dice, Davis embraces the non-material of a pure energy: Let there be light." My mother bent a Lamborghini on a hydrant, crossing the street in a pair of stilettos. asking if I'd been touched. Yet. rubbing the bump out of the rim of my nose. to be lifted without others spading for our roots. I recently finished reading your second book of poetry, Becoming Judas. It’s a tour de force, a remarkable book really, braiding and conflating the various story-myths of Jesus, Judas, John Lennon, yours, and others. Please tell us a little about the book’s becoming. ND: Becoming Judas was written while I was a student at the University of California, Riverside (URC). It was the first complete manuscript I’d ever written; it taught me that a manuscript is more than a collection of poems—it is an unfolding of ideas. One poem tells the poet what to write next—and in this way, the book takes the author on a journey. Becoming Judas revealed to me that a poet doesn’t write a manuscript, the manuscript rewrites the poet. There were three factors that lead me to this realization. First, I had my son while at UCR—this experience literally tore my body in two; this physical reality mirrored my interior divisions. I was coming undone, falling apart, and in this space, my past, present, and future began to violently collide. Second, I was surrounded by incredible people while working on this book. As a new mom, my only time to write was late at night; I would stay up all night at a Riverside Denny’s to write Becoming Judas. My cohort took turns staying up with me. Over bottomless cups of coffee and shared sunrises, I fell deeply in love with my fellow writers; we became a family. Third, I had mentors who were willing to guide me through the darkness. I’m trying not to cry right now—because they (especially Kate Gale and Mark Cull) would all call me a wimp for tearing up—but without them and the help of Maurya Simon, Susan Straight, Goldberry Long, Juan Felipe Herrera, Robin Russin, Christopher Buckley, and Chris Abani, I wouldn't have been able to navigate the emotional toll of a first manuscript. Let the book be what it wants to be—even if it is or isn't pretty or popular. Let the book rupture you—let it change you forever. Let your cohort be your family—build a writing family. Let others be your light. There are gracious people who are willing to help; let them, even when you don’t understand how or why they are helping you. Pray that their grace will teach you how to be gracious. Grappling with the spiritual and transcendent in light of the human condition seems to be pivotal in Becoming Judas. Could you talk a little bit about that aspect of your work? I found The Gospel of Judas [a gnostic text first translated by National Geographic in 2006] to be fundamental to the book. When did you first encounter that text? What attracts you to it? ND: I love the National Geographic’s documentary The Gospel of Judas—I love how they made Judas into a sort of religious Mickey Mouse—the commercialism is grotesque—which is delightful. The film is full of gangsters and backstabbers who, through violence and deception, allow us to encounter The Gospel of Judas. Leave it to Judas to be resurrected by thieves and brought to light by marketers. I also enjoy Tobias Churton’s Kiss of Death: The True History of the Gospel of Judas, which does an excellent job making fun of the National Geographic documentary. His book however, mainly focuses on the concept of authenticity—what makes a gospel a gospel?— what makes a disciple a disciple?—what makes a kiss right or wrong? The “this or that” of the Churton’s book is a little difficult for me. Even so, this book was one of my dearest companions while writing Becoming Judas—so much so, that now six years later I find my son’s “lost” ultra-sound photos wedged between the pages. So it seems, Churton's book continues to help me explore the idea of “lost,” “saved,” and everything in-between. There are many code phrases that distinguish authentic believers from non-believers. In the Christian community, I am often referred to as fence rider; Judas might be called a fence rider too. Fence riders believe but don’t do what they're told—or they do what they're told but they don’t believe in it; they are considered dirty because they are indecisive and noncommittal. But Judas never struck me as uncertain or unfaithful; he seemed a man born into a world of flux—his is the story of when all the stories collide—he wasn't riding a fence—he is the moment of impact—he is / was a kiss. Judas (in his historically and / or mythical form) betrays and saves us with a kiss. We all save and betray each other with a kiss. In addition to churches, I’m drawn to religious texts, same as I am a devout reader of Rolling Stone magazine and tabloids. I’ve poured over the Gnostic texts for years; Gnosticism is one of the few places where women are seen as active spiritual beings. Pop-culture tabloids are also a rare resource for visible and active women. (We take our models where we can find them.) So, I pounced on the text as soon as I heard Judas (the most feminized of the male apostles) had a gospel. (This gospel, ironically, was published around the time I was working on a book about being a rotten-no-good snitch.) I started to enjoy the synchronicity of things—started looking for synchronicities—I wanted to feel all the stories collide. What attracts me to Judas? We are both rotten-no-good snitches; we are tabloids. I believe every writer must come to terms with being a tattletale—every snitch has to take their stitches before they can really begin to write. This book is what I needed to become a writer. It is an awkward position to be in—to attempt to save the moment while betraying it. As a writer, I want the ephemeral to become everlasting; this is problematic. Judas and writers are problematic, but what I love about Judas is that his love seems greater than his failings. Because he loved Jesus as he betrayed him, we have a story that transcends time; this betrayal is as present today as it “was” before or after the kiss occurred. I can only hope to be a Judas. Both Becoming Judas and your first book Circe include illustrations by Cheryl Gross. Tell us a little about how that collaboration process worked. Will there be visual art in either of your forthcoming books? ND: Cheryl and I were recently interviewed by the amazing Liz Bradfield for the Alaska Quarterly Review. We submitted our responses separately, and yet there were these astounding moments of overlap which highlighted for me how lucky we are to have found each other. At one point in the interview Cheryl announces, “Nicelle and I are rebels. We care more about the art/projects and pushing boundaries.” Cheryl's statement was one of the few times that I felt proud to be a writer—that I belonged to something larger than myself. We are friends who push boundaries and this is because of collaboration. 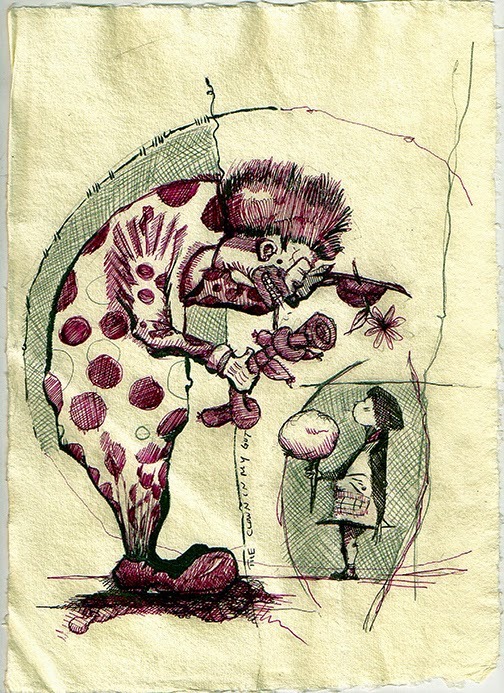 We started collaborating on a book called In the Circus of You, which will be released from Rose Metal Press this spring. After this experience, it seemed natural that Cheryl and I make more art together. We have started other projects that I’m very excited about; I can not wait to see where our collaborations take us. You’ve also done collaborations with Cheryl and others on trailers/motion graphics for your books, including motion graphics for five poems in Becoming Judas, trailers for both Circe and your upcoming book The Circus of You, and a video poem “The First Hour of Being Buried Alive in the Walls of a Half-Built Cathedral.” The idea of video poetry and moving/motion poems is fascinating. What kind of responses have you been getting from those who “watch” your poetry? What has been the most surprising thing for you about making these? ND: Motion Graphics are great! Great! As the famous Shakespeare quote goes, The play's the thing. I couldn’t agree more. The “play” of twenty-first century is the Motion Graphic; these films allow multiple artists to gather and return to their roots—to a place of performance. The Motion Graphics feel like pure art to me; they are so collaborative by nature that no one person is in control; in this way, such projects are as terrifying and exhilarating as live theatre. I feel so grateful to live in a time when artists from across the globe can virtually gather to create a very tangible performance of art, poetry, music, and dance. The most surprising thing about making these films is how well people work together. Very serious artists are given a space to play, and they do play with diligence. This is a sort of work that adults rarely get to participate in—it approximates how, as children, we created imagined worlds together—it feels like falling in love, but without any of the complications. I’m also surprise at how far the Motion Graphics travel: they have been shown in film festivals across the globe. My poems go places I’ve only dreamed of. I hope they are leading the way—teaching me how to be a resident of the world. In addition to visual art, performance seems vital to your connection to the word and to poetry, such as your reading at Pasadena Central Park. While I’ve heard wonderful, dramatic readings by poets reading their own work, I’ve never seen a poet perform her poem at a reading. You do so, complete with costumes. It must take a tremendous amount of work to perform a reading like that. How do you prepare for such a reading from an energetic standpoint? From a practical standpoint, who creates your costumes? Does the performance aspect ever come into play for you when you’re in the first stages of creating a poem? Could speak a little about costumes and poses on the cover of the Becoming Judas. ND: It takes hours and hours and hours of work. It requires the efforts of many people. All this effort and yet it is met with mixed reviews. Not everyone likes performance art for a host of reasons. I love performance art because it’s hard to ignore; it’s raw and it’s experiential; it is often awkward and uncomfortable, in other words it’s human. The documentary, Women Art Revolution, is a great introduction to the role performance art in women’s rights. When women are visible, raw, and experiential, people can get mean; I find this interesting and at times difficult. However, I find it much more difficult to be invisible. There is a group of performance poets whom I appreciate for their efforts and process, including, Lauren K. Alleyne, Ching-In Chen, Kate Durbin, and Sierra Nelson. These ladies are inspirational to me, as I am sure they are for others. Costuming is one of my favorite art forms. I’ve spent years obsessing over the history of fashion. Clothes create a silent conversation; costumes amplify this dialogue. My favorite costume artist is Pavlina Janssen; I consider her my art sister because we know each other’s secret language. As a collage artist, Pavlina doesn’t just make a dress, she creates layered stories. She made the dress for the cover of Becoming Judas. For this dress I brought her all the remnants of my failed marriage: a feather comforter, a fox coat, a negligee, bones, and teeth. She mended these things into a dress that brought the dead back to life. Dennis Mecham took the photos. He has an incredible knack for conducting light; his tones are so intense that they seem to sing. I was so anxious to work with him that during the photo shoot I didn’t notice that the fox claws were shredding my legs; it wasn’t until the next day that I realized my thighs were scratched and bleeding from the little fox paws. At this point there have been hundreds of costumes and dramatic events—I wish there was time to go into each of them at length, but events are not meant to last. I owe a great deal to photographers Jason Hughes, Marcelles Murdock, and Lauren Marquardt who have helped document the making. Making is the best part of any art; it brings people together—it is an organic magic. The puppets used for the Pasadena LitFest were a joint effort of Brandon, Natasha, and me; we stayed up late talking and carving. Brandon is an amazing craftsman and Natasha is an intuitive designer. It was fun to perform with the puppets, but the real benefit of this collaboration was spending time with these two friends. Making helps me form relationships and forge meaning in my life. The artistic products (I feel) are just an invitation to join in the making. For example, I was delighted this summer (dear Nancy) by our writing group, who accepted the invitation to make and foraged for feather. We made a dress out of Ireland. I feel like the feathers gave us permission to touch the landscape in a way we wouldn’t have otherwise. We are so lucky to be makers. Of all of the poems you’ve written, what is one of your favorites? ND: My favorite poem is always the one I’m writing; once the writing is over, the poem doesn’t belong to me anymore. When your first full-length manuscript was published, were there things you thought would happen, yet didn’t? unexpected things that did happen? ND: It is difficult to write a book, twice as difficult to publish a book, and infinitely more difficult to gain readership. On the surface poetry isn’t very practical—there is less than no money in it (I’ve hocked all my jewelry and skipped many meals to afford poetry)—however, there are treasures in this pursuit that exceed the monetary. I feel that this difficult process has shown me the best of people. My teachers and editors have shocked me with their grace and loyalty. I’ve watched my publishers risk everything to sponsor a book; seeing their dedication to art (or rather, their efforts to extend the world of ideas and imagination) is humbling to say the least. Also, after going through the “publication” process, I have cultivated a great appreciation for readers. As a first time author I wrote a book to create a gift—a tangible item that could be handed to another person. When I was younger I privileged the giver, but now I recognize that the receiver carries the bulk of this intimate exchange. It is the intangible actions (such as engagement and acceptance) that sustain us. I now recognize that time spent with a piece of art costs a portion of a person’s life; I’ve learned (maybe the hard way) that I will never write a book worthy of a person’s time—but I can try, I will try, and hope that the effort bleeds through the pages—I try to create art that fights to meet readers half way. With your two forthcoming books, you will have had four published in the span of five years. You’re prolific, not to mention hard-working. It takes sustained effort to write, prepare, and promote a book of poetry. Do you have any favorite tactics for promotion? What have you learned from your first two books to help with your next two? ND: I have found that the same attributes that move a person forward also hold them back; a writer has to work with and against themselves when creating their writing life. For example, I’m a very creative person (I can see the possibilities clearly), but this also means that I have a hard time recognizing my limitations. I have to tell myself no sometimes. Most of the time I rebel against the idea of no. This leads me to do more, which is great; this can also lead me toward total collapse, which is very bad. Because of that quality, I’ve had to learn how to listen to myself and others. In this way, my strengths move me forward as my weaknesses teach me. I’m shameless when it comes to who and what I love; I love poetry, so I’m willing to try just about anything for it. I’m also shy by nature, so if what I’m doing doesn’t feel dangerous, I know I’m not risking enough. This devotion to risk has guided me past my comfort zones; risk also involves a lot failure, or rather, many awkward moments. I’m trying to embrace the awkward by putting myself out there—I allow myself to experience rejection and acceptance. Getting out there includes asking for publication, asking for readings, asking bookstores to carry books, asking for reviews—asking, asking, asking. I’m a proud person, so asking for anything makes me nauseous—but I have that shameless thing to help me deal with the awkwardness of puking. I also highly recommend forming a writing community. I have my five; they keep me going—they keep me honest. I keep my core writing family near me: I would be lost without them. As an editor at The Los Angeles Review and Connotation Press, what would you tell hopeful poets looking to find homes for their work? ND: Every editor is different, so if you receive a rejection from one publication try another. What I look for in writing is something that surprises me. Often I’ll read a submission that sounds exactly like the twelve I rejected before it. These can be well-wrought pieces; they just lack a mark of uniqueness. The same way that I’m drawn to brush strokes in a painting or thumbprints in ceramics, I like to see an intrinsic quality in a piece of writing. If I’m still thinking about a submission an hour after reading it, I feel that writing has done its job and will be accepted for publication. Who are you reading now? Do you have a favorite poet or poets? What poets influence you? My favorite poets are Stephen Crane and John Keats (I don’t think that will ever change.) Of course Anne Sexton, Anne Carson, Claudia Rankine, and C.D. Wright are my guiding lights. ND: I was 7; I was annoying my grandmother. She handed me a book by John Keats and said not to bother her until I knew what it was about. I’m still trying to figure that book out. There have been many mentors. Natasha Saje, Alma McKertich, Charles Hood, Kate Gale, Mark Cull, my instructors at UCR—these are the few who were willing to put up with me. They have been good to me in ways that surpassed my expectations of kindness. ND: I usually write a book with one person in mind. With my latest project, I’m writing for one but editing with a larger audience in mind. I would like to write a book that shows its bones—a book that anyone who is willing can access. ND: Forming a manuscript is like carving a sphere—you can tell it’s off because it wobbles in motion. I can recognize when a work needs revision, but I get lost in the muck of it. I get too close, too focused on the material to see what the overall manuscript needs. I require smart and honest readers to make a book. I have a handful of readers. Kate Gale and Mark Cull will give me no-holds advice. My dearest reader is Adam Smith; he’s brutally honest and wildly funny. Adam helps me laugh through my shortcomings. He is nothing short of a brilliant editor. Readers and editors are not recognized enough for their contributions to a book. If you were a place, where or what type of a place would you be? ND: I try my best to be as many places as possible, but really I’m a southwestern kind of gal. The desert never washes off. Are you working on a fifth poetry book? When you and I were recently in workshop together, you were working on fiction. How is that project coming along? Could you tell us a little about it? The fiction project you referred to, currently titled After the Rats, is the most difficult thing I’ve ever tried to do. Long form is so foreign to me, but I love it. The plot is basic: boy meets girl, they fall in love, its all fucked up and crazy, but so is life. After the Rats is a man’s search for meaning in the wake of a horrible catastrophe. Loosely based on the legend of the Pied Pier, this is a love story that happens in the graveyards of dead rats and the empty rooms of missing children. It’s trying to reconcile moments of happiness that are found in the wake of a tragedy. I have a feeling that if I can pull this book off, I’ll believe in a joyful form of love again. I want to believe again. Is there anything you like to share about any of your books or say about poetry or writing in general? ND: In general I feel it is important for us to be mindful that we are more than an individual artist, we are a community. To keep this community going—to keep books in the world—we have to be supportive of each other. We also have to allow for mistakes and conflict. Art doesn’t make us human; it challenges us to act humanely. This is always difficult but important work. Art is the place where we are allowed to fail at failing better. There is no winning or success in this space, only a chance for growth. Dirt and gravity can only be pushed so far. You have to push past these limits for it to be art. If you chance the miracle and the pot survives the fire--that's art. Some people are born to play the blues...to love and understand Jazz. Just because your music (poetry) isn't what everyone likes doesn't mean you can't play. Be nice to yourself. Call when you can; those who love you, miss you. Nancy Chen Long received a BS in Electrical Engineering Technology and an MBA, worked as an electrical engineer, software consultant, and project manager, and more recently earned her MFA. As a volunteer for the Writers Guild at Bloomington, she coordinates the Lemonstone Reading Series and works with other poets to offer poetry workshops. Her chapbook, Clouds as Inkblots for the Warprone (2013) was published by Red Bird Chapbooks. 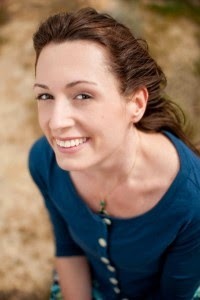 You'll find her recent and forthcoming work in Boxcar Poetry Review, RHINO, Sycamore Review, and other journals.